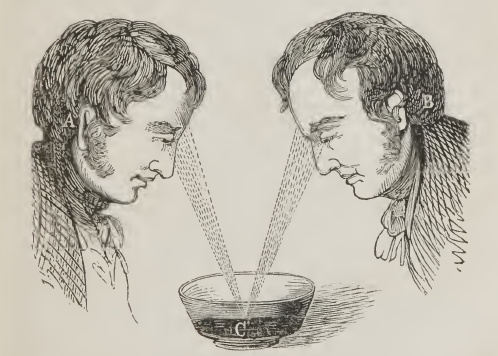 Collyer further explains this unusual optical phenomenon in his 1843 Psychography, or, the Embodiment of Thought; with an analysis of phreno-magnetism, “neurology,” and mental hallucination, including rules to govern and produce the magnetic state – the “magnetic state,” which Collyer also calls “congestive,” being the mesmerized state. The book begins with an aggrieved argument for the author’s priority in the invention and diffusion of the new art of phreno-magnetism – in which specific phrenological organs (for example amativeness or secretiveness) can be magnetized to produce related behavioral effects – and a lament on the recent and spurious proliferation of such organs. Collyer specifies that the sender of the psychographic image must first “embody” in his own mind the image that he wishes to communicate. For example, if the recipient is to describe a person or location she has never seen, the sender must first impicture it, so that the recipient can relay the details of its pictorial composition. What is most fascinating about the process is the question of how much artist’s control, as it were, the sender has in this process of “embodiment” – especially considering that mental/emotional image-complexes associated with persons and things are often highly individual and eccentric. 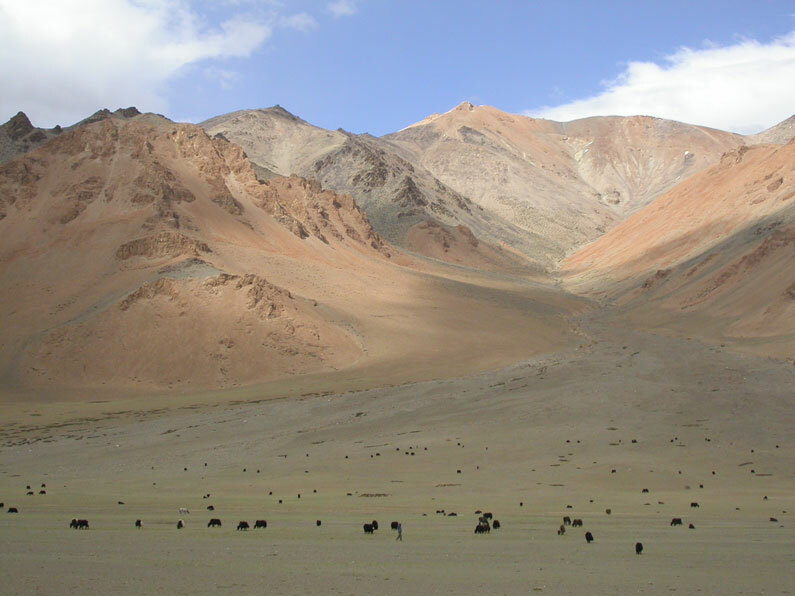 One of our ESTAR(SER) researchers, for example, insists that his entirely involuntary though deeply-rooted mental image of Plato, for whatever reason, includes the information that he was located not in Greece but somewhere on the Central Asian steppe. 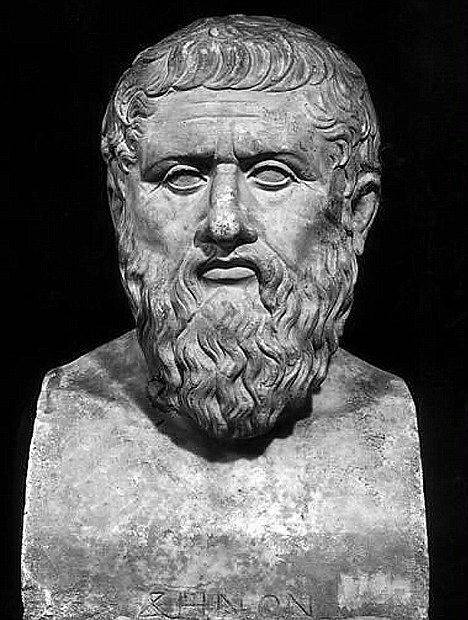 A true psychographic transmission would of necessity include such eccentricities – something of a problem for those wishing to ascertain its veracity, since the correct transmission of the message “Plato” might result in a crystal clear image of Genghis Khan. 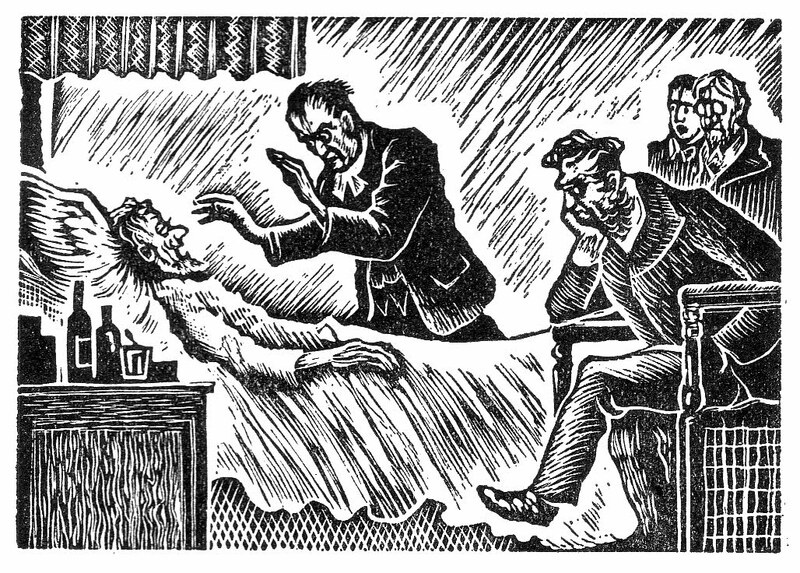 What makes such a transmission possible in the first place, of course, is the “nervous fluid,” the versatile bio-electricity so beloved of the mesmerists. Collyer’s insight was that this substance might be “governed by the same code of laws which governed heat, light, &c., as radiation and reflection.” Might it also be subject to the laws of optics? 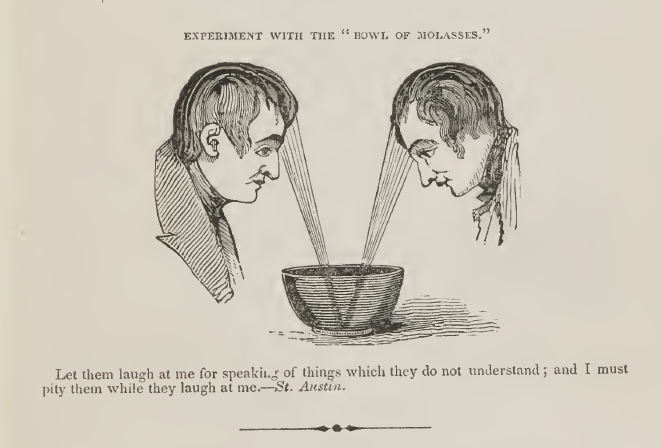 Thus resulted Collyer’s series of experiments with the bowls of molasses. On June 22 1841, Collyer repeatedly “directed his thought into [a] bowl of molasses” before an audience of “twenty four gentlemen of the three learned professions” at the Masonic Temple in Boston. Present among them, perhaps inevitably, were two delighted members of the Order of the Third Bird. 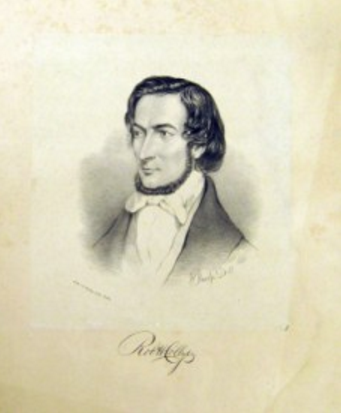 Collyer’s unpublished autobiography makes no mention of their subsequent invitation to join them in a number of experiments opportunistically based on his attempts at psychography – and one gleans what one can from the W Cache’s vast and disorganized records and transcripts of Actions held in the US between 1804 and the present. 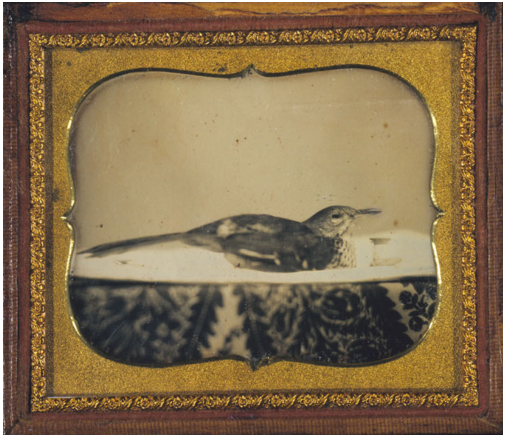 It appears that, rather than stick with molasses or any other dark or highly reflective liquid, the Boston Birds directed their thoughts into various domestic objects, museum pieces, child’s drawings, classroom busts of Greek philosophers and the like. Action Protocols were thus invented to harness the laws of mental optics as applied particularly to works of art. This probably did not sit well with Collyer. What was worse, participants in later Actions adopted complex mental and physical “positions,” using carefully placed mirrors, in order to have the angles of incidence of their respective thoughts coincide with the angle of reflection of the object’s mind. The idea was, going from the transcripts, to create a kind of prismatic consciousness, expressing itself through the utterances of each successive group member. None of these Protocols appear to be in use today; we would welcome any evidence to the contrary, including descriptions of relevant Actions by anonymous informants of the Order.